Everything we do at CFL is designed to challenge the traditional with an efficient, professional and most of all simple and easy approach to financial planning, that will leave you with a better financial planning solution. It’s common to put off making investment and financial planning decisions. But you need to take control. CFL Financial Planning can provide you with the best weapon for taking control – choice! FACT – Almost one-fifth – or 18.5 per cent – of the Australian population have ‘no idea’ how much money they would need to fund their retirement…? Kind of scary if you are closer to retirement than you are to just starting out. click here and send us a message to fix it. Money does not come with an instruction manual…! The issues you face when trying to make it, grow it and preserve it and incredibly complex and multifaceted. An hour with a professional financial planner could be the very best investment in your financial future that you could possibly make. What are you doing NOW to make sure you get more money into your super and pay less TAX in 2016? If your answer was nothing – we need to talk! Financial Planning is all about money! It’s about making it, growing it, leveraging it, protecting it, enjoying it and preserving it. As you can see, we offer a comprehensive service package. We look at your current situation across all six areas. Of the many different strategies available, we identify those that are right for you, and that you’re comfortable with, and we implement those. Please try entering https://graph.facebook.com/302324363129497/photos?fields=source,link,name,images,album&limit=10 into your URL bar and seeing if the page loads.Facebook API came back with a faulty result. You may be accessing an album you do not have permissions to access. CFL advisers are qualified to give Financial Planning, Investment and Insurance advice to a wide range of individuals and companies. As CFP Members of the Financial Planning Association (FPA), Steve & Craig, are updated on industry and legal issues and are required to undertake continual accreditation, professional development and training. They are also committed to meeting the strict professional standards of conduct as defined in the FPA Code of Ethics and Rules of Professional Conduct. True success in anything comes from surrounding yourselves with experts. As well as your Financial Planner, you will also have access to a designated Client Services Manager who understands your situation and can provide assistance in your adviser's absence, as well as an administration team who assists with all administrative queries and changes along the way. CFL Financial Planning possess the necessary experienced team and technology to provide you with a professional presentation, back up service, and ongoing review of all your financial planning needs. We utilise a variety of Market, and Industry Leading Technology tools, to ensure we have the latest in hi-tech Financial Planning software available. This enables CFL to provide our clients with an overall financial planning capability from the most basic plan through to complex strategies including Pre & Post Retirement advice, DIY Superannuation Investment strategies, Investment & Diversification planning Gearing plans, Centrelink & Social Security planning, Taxation calculations & Redundancy advice to cover your 'overall' financial situation. This is all about getting to know YOU! Finding out where you are now, what’s important to YOU, and where YOU want to be in the future, whether that’s a year from now or at Retirement. Here we will draw out YOUR road map to financial success, and really drill down into the areas of YOUR Financial Plan that are most important to YOU! Now that we know exactly what is important to YOU, we can present your Financial Plan. This is a fluid document which will grow with you over time as YOUR priorities and circumstances change. A good idea is only effective if it gets implemented! In this meeting we put our advice into action. Everyone’s circumstances change over time, it is important that we continue to meet on a regular basis to ensure that YOUR road map to success adapts to YOU and the changing world in which we live. I’ve been a Financial Planner here in Queensland since 1996 where I've worked closely with accountants to help successful and motivated business owners develop a successful 'game plan'. The majority of my working life has been in and around finance. During that time I've done everything from open the mail to developing complex investment, superannuation and retirement strategies. I have worked with more than 1,000 individuals, professionals and small business owners and I have an excellent understanding of what works and what does not work in small business…! What this means to you is that I’ve had exposure to lots of people with varied financial situations, in many different industries and backgrounds and have helped them to not only get their finances back on track, but to help them stay on track. I'd love to use this experience to help you get on the "fast-track" to a prosperous retirement. Out of the office, I am a bit of motorsports junky and am lucky enough to have a fully restored 1997 Ducati. Don't just take our word for it, click here to see what Steve's client have to say about him. send me an email at , call the office, or start a conversation on my LinkedIn Profile. I’ve been helping successful but time poor professionals and business people to set a 'game plan' and stick to it since 1999 – to great success! In that time I’ve filled every role within the investment, insurance and finance sections of 2 Chartered Accounting firms, working on smart and effective strategies for more than 500 clients. What this means to you is that I’ve had exposure to lots of people and ideas from many different industries and backgrounds and I have developed an exceptional ability to listen to people, understand their needs and deliver solutions and advice…! I know that my clients want to ensure they aren't working hard for nothing! I also know they would prefer to spend time with their family instead of sorting out their finances… Being married with 2 daughters, I fully understand the difficulty of balancing family and work demands of professionals & business owners. As a Professional Financial Planner, my role is to take away the confusion and complexity from your finances and replace them with confidence by designing a smarter plan of action to build and protect your wealth. Outside the office, I treasure spending time with my family and I enjoy surfing, martial arts, reading and BBQ's with friends. Don't just take our word for it, click here to see what Craig's client have to say about him. I have been a client of Steve’s for the best part of 15 years now, and over that time Steve has always conducted himself in a friendly and professional manner, he has always been respectful and honest in our dealings. Steve takes the time to listen! I have always found his advice to be measured, thorough, and based on research. Importantly, he always makes himself personably available for meetings or just a friendly phone chat of reassurance, in many cases he will go over and above what would be expected of him. I have no hesitation in recommending Steve as your financial advisor! He would definitely be an asset to you. For the last 15 years Steve King has been my financial advisor, both in relation to my personal investments and the investments of my SMSF. Over that period I have had extensive and regular dealings with Steve in relation to financial planning and investment matters, involving at least 2 — 3 meetings per year, and consequently I believe that I am well qualified to comment on Steve’s ability, integrity and character. Steve is very honest and trustworthy, he communicates in a way which is easy for the average person to understand and I have always found his advice to be both comprehensive and balanced. Further, I have found that Steve has a wide knowledge of various financial and investment products which allows him to tailor his advice and recommendations according to the client’s individual circumstances and requirements, and he always ensures that any potentially negative implications of a particular investment are explained and analysed before a decision is made. Based on my dealings with Steve I would therefore have no hesitation in recommending him to anyone looking for sound and reliable financial or investment advice, and in fact I have often done so in the past. If required I would be happy to expand on the above comments for the purpose of endorsing Steve as a first-rate financial advisor. We have known Steve King for about 15 years, during that time he has provided us with sound and ethical financial guidance. Steve is always happy to be contacted for advice and communicates advice in a way we understand. We would have no hesitation in recommending Steve for professional financial advice. I have known Steve King professionally as a Financial Planner to my family and myself since October 2004. He has been a representative of CFL Financial Planning for the entire time I have known him. During this time Steve has always shown himself to be a capable, highly professional and respectful person. He has demonstrated to me his ability to listen carefully to our needs and then to independently carry out and clearly present his assessment of various options to address those needs. When appropriate he has recommended other professionals to assist us when the scope of our request required expertise outside that normally provided by a Certified Financial Planner. He is hard working and conscientious, takes ownership for the work which he is requested to carry out and applies himself diligently to the task at hand. Three attributes in particular which are commendable are Steve’s good communication skills, his firm grasp of world financial markets and his high ethical standards. I wouldn’t hesitate to recommend Steve King as a professional financial planner to any individual or organization and I wish him well in his future pursuits. I have known Steve King for 15 years and have found him to be a man of honesty, integrity and loyalty. He has always been professional and is highly competent in his field. Steve’s first priority is his family and his concern and empathy is reflected in his daily dealings. I have no reservations recommending him for any career ventures. He is highly capable, intelligent and adaptable. I am a Practicing Accountant and operate a regional accounting practice with 18 staff. I have had the privilege of working alongside Stephen King for more than a decade as both a business operator and in regard to mutual clients affairs. Right from the outset of our working relationship Stephen has proved himself to be professional, dependable, honest and capable of dealing with our clients affairs in a friendly, reassuring and courteous manner. As you will appreciate recommending a professional adviser to one’s own clients is an onerous and sometimes “risky” undertaking, particularly for someone like me who takes referrals very seriously. Stephen has my confidence and I do not hesitate to recommend him to my clients. As a business operator Stephen has demonstrated the skills required to conduct a successful business and is a responsible and proficient managing director. Stephen also advises me in relation to my own self-managed superannuation fund. In that capacity I have appreciated Stephen’s wise council and assistance in setting direction for my fund. My wife and I have been clients of CFL Financial Planning and specifically of Craig Buntain for over 10 years. During this time Craig has always provided us with sound and timely advice designed for our future financial security. We have always been impressed by Craig’s insight into market conditions and while we appreciate that financial markets can be unpredictable, his recommendations have been worthwhile more often than not. We are now retired and ‘enjoying’ Craig’s earlier advice. We would recommend Craig and the team at CFL Financial Planning to anyone who wants a sound financial plan, particularly for the long term, and whether a professional or not. 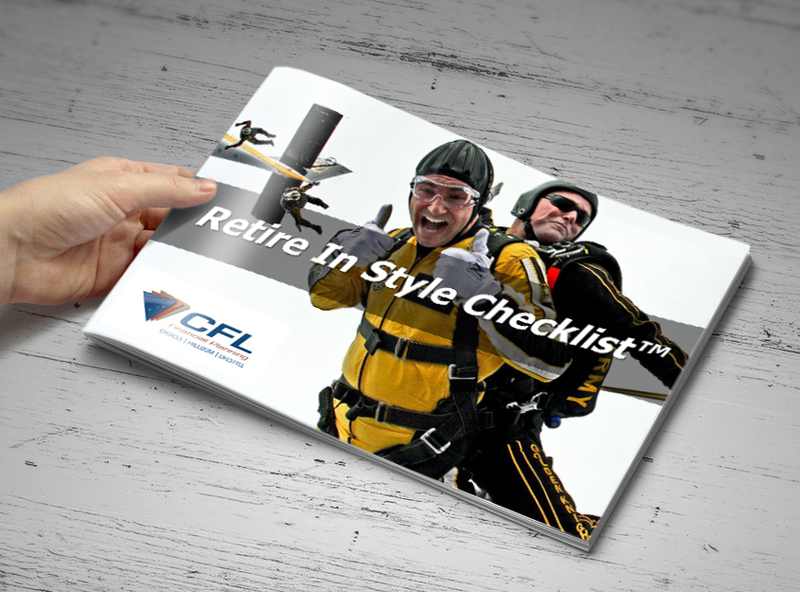 I have a Self-Managed Superannuation Fund that has been managed by CFL since it was established 16 years ago. 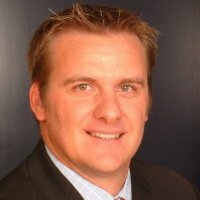 In January 2007, Craig Buntain took over my portfolio as Financial Advisor and has continued in that role ever since. Craig has offered sound financial investment and planning advice that has seen my portfolio increase in value during this period. I am now retired and able to live a very comfortable life as a result of Craig’s advice. On several occasions I have referred friends to Craig for financial advice and they have subsequently placed their investments in Craig’s hands. 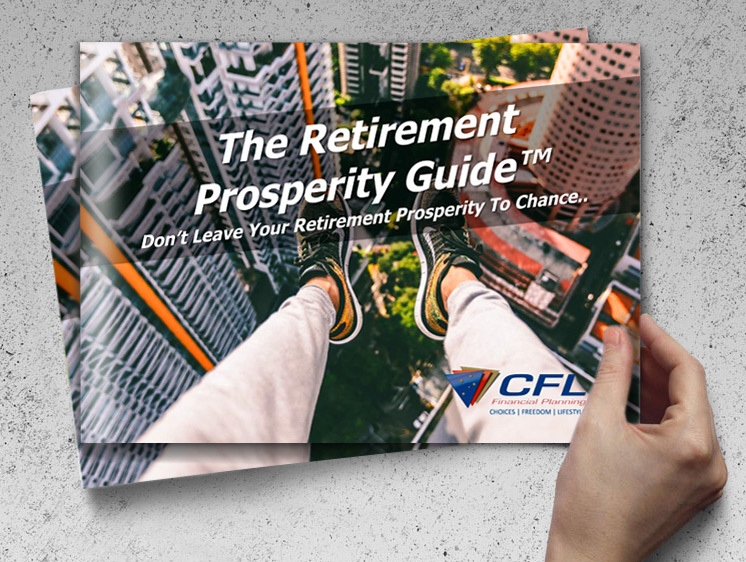 If you are approaching the cusp of retirement or just looking to restructure your financial affairs to achieve your goals for financial independence later in life, Craig Buntain and his team at CFL Financial will assist you to analyse your personal circumstances, recommend strategies and compile a financial plan to help achieve your goals. 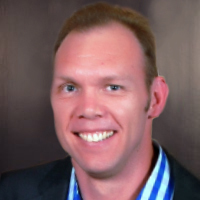 Craig is passionate about empowering his clients to achieve their goals and provides guidance and support based on your personal circumstances. I have no hesitation in recommending Craig and his team at CFL for their passion, commitment to their clients, and continuous communication aimed at providing the outcomes you desire from your financial plan and investments.